TEXT: John 2:1-11 On the third day there was a wedding in Cana of Galilee, and the mother of Jesus was there. 2 Jesus and his disciples had also been invited to the wedding. 3 When the wine gave out, the mother of Jesus said to him, “They have no wine.” 4 And Jesus said to her, “Woman, what concern is that to you and to me? My hour has not yet come.” 5 His mother said to the servants, “Do whatever he tells you.” 6 Now standing there were six stone water jars for the Jewish rites of purification, each holding twenty or thirty gallons. 7 Jesus said to them, “Fill the jars with water.” And they filled them up to the brim. 8 He said to them, “Now draw some out, and take it to the chief steward.” So they took it. 9 When the steward tasted the water that had become wine, and did not know where it came from (though the servants who had drawn the water knew), the steward called the bridegroom 10 and said to him, “Everyone serves the good wine first, and then the inferior wine after the guests have become drunk. But you have kept the good wine until now.” 11 Jesus did this, the first of his signs, in Cana of Galilee, and revealed his glory; and his disciples believed in him. Such an iconic story! Most of us are quite familiar with this first miracle of Jesus—the first miracle at least according to the Gospel of John. It was a reluctant Jesus who responded to Mary at a village wedding in Cana, just north of Nazareth. Mary seemed to have a major role in the celebration, so perhaps the bride or the groom was a relative. Jesus was invited, along with at east some of his recently summoned disciples. Now this was no brief 30-minute affair followed by a reception. In a observant Jewish family, a wedding would be a major event, with a feat which lasted up to a week, and new guests arriving each day. Wine was a significant part of the celebration. Without wine, the rabbis said, there is no joy. It was not a matter of drunkenness; wine would often be drunk 2 parts wine to 3 parts water. It was a matter of hospitality. In the Middle East, hospitality is sacred duty and failure of provisions would have been a terrible humiliation for the bride and groom. For a marriage to start with empty wine jugs would mean it had little chance of ever achieving its full potential. The rest is history, as the saying goes. The wine runs out, Mary asks Jesus to fix the situation, Jesus balks, but then does what Mary asks by having 6 stone water jugs, holding 30 gallons each, be filled with water. Then, miraculously, the water becomes the finest of wine. Clearly Jesus fulfilled the need with great and fine abundance. This is one of our favorite Jesus moments…Amazing! Fantastic! Jesus turned water into wine, such power. Miracle upon miracle! It is an abiding image. Except, except, maybe, maybe, it did not really happen. I know. We love this story. I love this story. I am attached to this story. I want it to have happened just that way. But the Book of John is the least literal of the four canonical Gospel writers. His intent is not biographical; it does not intend to explain. It intends to convince. His stories hold symbols, not history. The news is not all bad…If we free ourselves from factual precision, there might be realities beyond the known facts, beneath and above present consciousness. I believe, wrote Robert Fulgrum, that imagination is stronger than knowledge, that myth is more potent than history, that dreams are more powerful than facts. So, if the story did not happen as proclaimed, who pay attention? Well, consider that the text serves the human. Not the other way around. Fellows at the Jesus Seminar determined that only one line in John definitively attributed to Jesus! Yet John contains the most authentic essence of the Jesus experience. In another Jewish writing (Baruch) of almost the same time as the Gospel of John, there is this description of the fantastic abundance of God’s kin-dom come: The earth shall yield its fruit ten thousand fold; each vine shall have 1000 branches; each branch shall have 1000 clusters; each cluster 1000 grapes; and each grape about 120 gallons of wine. Abundance is the promise and sign of God’s grace, of God’s abiding presence, of God’s steadfast provision; and here is Jesus bringing that about. This is the messianic promise. It is not just fine wine, it is Merlot of mindfulness; Syrah of sincerity; Cabernet of kindness, Chardonnay of justice. The huge stone jars he used were designed for traditional Jewish purification rites. So Jesus symbolically transforms the old rigid practice into something joyous, something even better. Something unexpected. It was no accident that John places this story on the third day, foreshadowing the death and resurrection of Jesus. It was no accident that the servants, the peasants, knew where the wine came from before the hosts knew. Jesus is present, the ordinary will become extraordinary, or lives with Jesus, however ordinary, will be extraordinary. Guaranteed! When the jars of our lives are empty, when we are exhausted and drained by unexpected demands or unpredictable circumstance….keep believing. The miracle is not found in the transformation of wine, but in the transformation of the future. However hollow or hopeless we feel, our need is the same need as the unknown bride and groom in Cana, and God will replenish. It might be that Jesus opened his Gospel with the most important contribution of Jesus. What do you think might be the most significant part of his message, his ministry? Perhaps it is not healing the sick or calling out the wicked or performing miracles or giving ethical guidance or preaching forgiveness, important as those things are. Perhaps his most important work is to rid us of our fear, both in this world and the next. Perhaps his great mission is to banish your anxieties about life, about living, about dying. How often have we heard him implore “Do not fear! 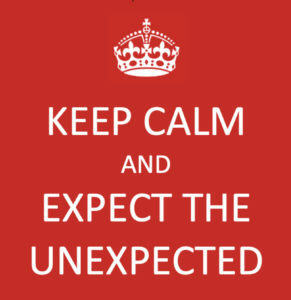 Be not afraid.” There will always be the unexpected. When the shell of literalism is broken, this becomes a story of Call: Jesus’ call, and your call. We hear a reluctant Jesus rejecting Mary’s request for help. He doesn’t’ tthink it is his time, his place. But Mary knows better. “So make it so,” she told her son, who wasn’t ready to be the One. How often do each of us, seeing a need in the world, say instead, “It’s not my time”? “I am too busy, too distracted, too incapable, too afraid…” what, or who, will move you from your comfort zone into action? Who will nudge or push you? Who will wake you up? Perhaps your gifts include speaking out? You could do that on behalf of a cause or on behalf of a person. How about working for gun control or for the homeless or for immigrant/refugee rights? Is your gift letter-writing? Offering rides to church or to protests or to the hospital? Cleaning up the streets, one paper cup at a time. Your gift might be greeting here at church or serving as liturgist or as an elder or deacon. Or is it parenting or teaching or construction or patience or humor? Is it healing? Or housecleaning? What kind of live emanates through your life? This weekend we are marking 50 years since the assassination of another prophet, Martin Luther King Jr. He expected the unexpected. He believed in the future, he overcame fear, he walked the walk. I have a dream, he said. I have a dream that one day every valley shall be exalted, every hill and mountain shall be made low, the rough places will be made plain, and the crooked places will be made straight, and the glory of the Lord shall be revealed, and all flesh shall see it together. This is our hope… With this faith we will be able to hew out of the mountain of despair a stone of hope. With this faith we will be able to transform the jangling discords of our nation into a beautiful symphony of brotherhood. With this faith, we will be able to work together, to pray together, to struggle together, to go to jail together, to stand up for freedom together, knowing that we will be free one day.